The last Yakuza PS3 exclusive, Ryu Ga Gotoku KENZAN! got instant udon. The upcoming Yakuza PS3 exclusive gets, you guessed, instant noodles. 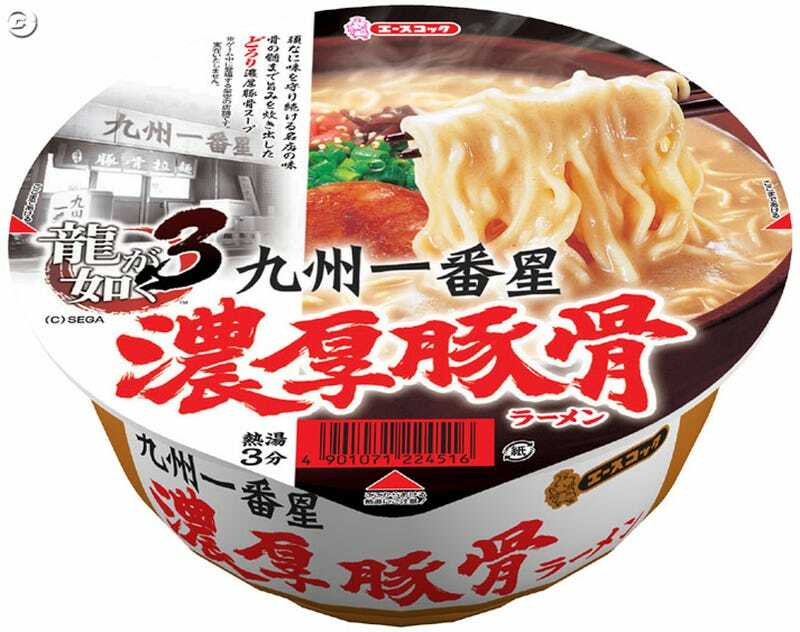 On March 2, Ryu Ga Gotoku 3 cup ramen will go on sale in Japan from food maker Ace Cook. It's not just ramen, but Kyushu tonkotsu ("pork bone") ramen. The ramen references fictional in-game ramen restaurant called "Kyushu First Star." Yours to eat for ¥231 (US$2.56).